To help Yamaha Motors learn more about their customers, The Hand Creative created a simple to use touch screen survey for their guests during their multiple roadshows. 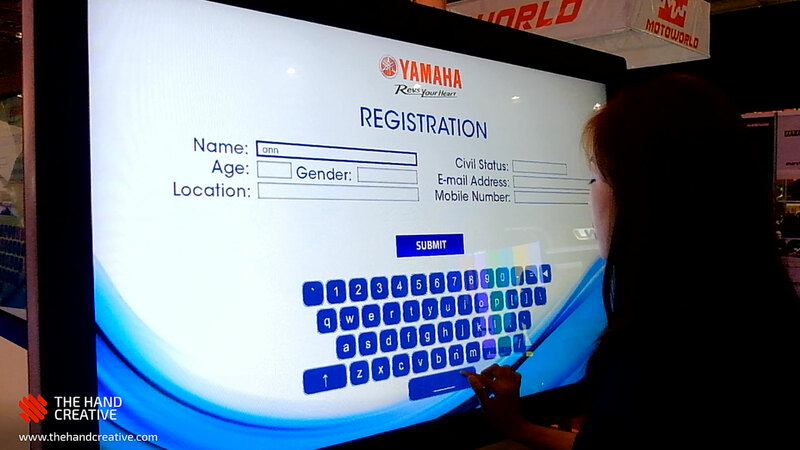 Using a 42-inch touchscreen, guests answer a series of questions that provides Yamaha with their contact details, preferences, and opinions about their products and events. 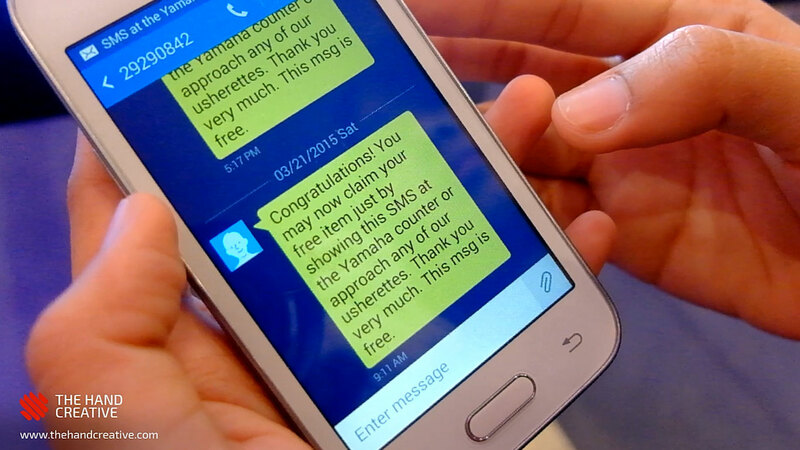 To reward participants of the survey, the survey also automatically sends an SMS mobile coupon to the participant after taking the survey. 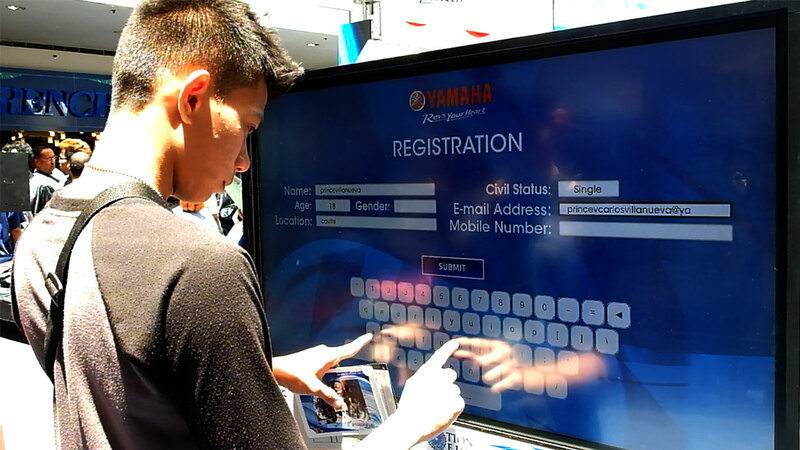 To claim the prize, participants simply show their SMS coupon to brand ambassadors manning Yamaha’s exhibit area. 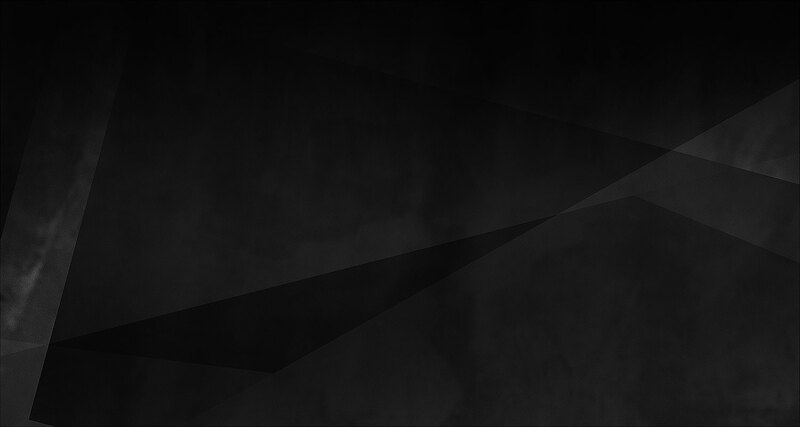 The survey generates around 500 responses per day for each event.